As a SaaS company, marketing at Exotel has largely been “online” and internet focussed. We have been experimenting with offline marketing mediums lately and last week we ran our first radio advertisements. If you haven’t heard them because you’re not in Bangalore, you can hear them here. B2B customers are making 70% of independent purchase decisions before engaging a sales person. So, brand building becomes a very important play to influence customers. We had similar concerns ourselves. So, we wanted to be able to say more than “We got a positive response from a lot of folks” when we analysed our radio advertisement ROI. And yet again, we used Exotel to make our own lives easier along with Google Analytics Offline Conversion Tracking. Measure the number of leads (in this case, calls) the radio campaign generated and eventually, the number of customers we acquired as a result of the campaign. If you listen to the Exotel ads, the Call to Action is to call on a Exotel Number 8880877888 (scroll up to listen to the ad if you haven’t heard it already) and we double stress on it. It helps if the number has an easy “recall” factor. Remember the Taxiforsure jingle? Are you singing it right now? 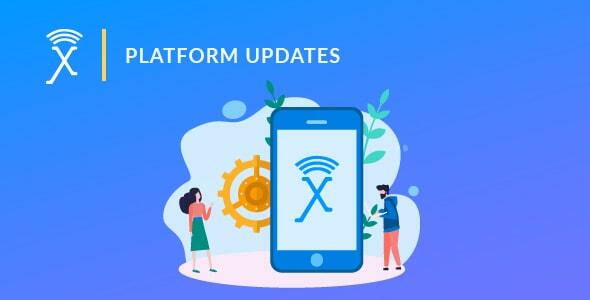 When you receive a call on the number mentioned in your ad, store it in your database or a Google Spreadsheet using Exotel’s passthru applet and then connected to the sales team. Our sales team, after explaining the Exotel product and debating String theory, requests the caller to register at my.exotel.in if they haven’t already. As part of the registration process, we get the phone number of the person registering. Usually, this will be the same number from which the customer called. Upgrade to Universal Analytics if you haven’t already for the second part of this tracking. Once you have upgraded, add a couple of lines of code to your Google Analytics get the clientID, a unique random number that Google Analytics generates for every user. When a user registers, pass on this information along with other parameters to your CRM. At Exotel, we use Pipedrive and have done some tight integrations with it using our APIs. This value is now stored along with the other information for this lead. In addition, we also check if the number used for registration is in the database that we stored the list of numbers who called in on our number. If the number is present, use the Google Measurement Protocol API to let Google know that this user came via Radio Campaigns. All you need to do is to do a POST/GET request to www.google-analytics.com with the following payload. This will record in Google Analytics that this user came in via Radio advertisement campaign and which radio ad. This event must be triggered irrespective of whether the sale was from a Radio campaign, or adwords or organic lead. 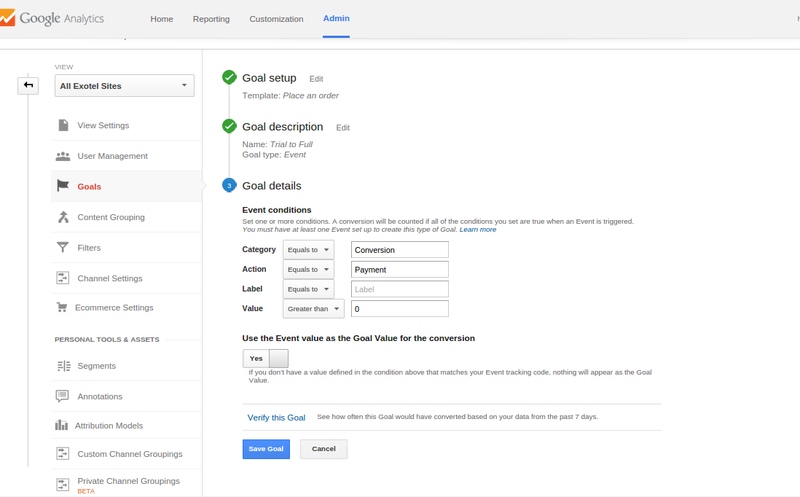 Then you could goto Goals under the Conversion tab and analyse how much was the returns from the Radio Ad. All you need to do is filter for Source as Radio and you have all the data. 1. You can use the same logic and track your other offline campaigns like Print ads, TV ads etc. For example, in the case of Print ads, you can even track multiple ads with multiple numbers and do some A/B testing that will possibly allow you to evaluate which one performs better. 2. If you’d like to implement this for your Exotel account, please write to hello@exotel.in and your account manager will help you with the set up. With Exotel’s cloud telephony, you can now hold the traditionally “unmeasurable” media, accountable for performance. Provide a phone number in your ad to measure your radio advertisement ROI. Track the calls via Exotel and sync them with your Google Analytics account to measure conversions and ROI for your campaigns. You might need a tiny bit of coding skill to implement this but it is way better than depending on “listener feedback” to evaluate your radio ad campaign.